You may not have sufficient privileges to access this page. Are you trying to edit someone else's post, access administrative features, access Paid Subscripion area or some other privileged system? If you are trying to post, the administrator may have disabled your account, or it may be awaiting activation or Your Paid Subscription has expired. All times are GMT -6. The time now is 10:16 PM. 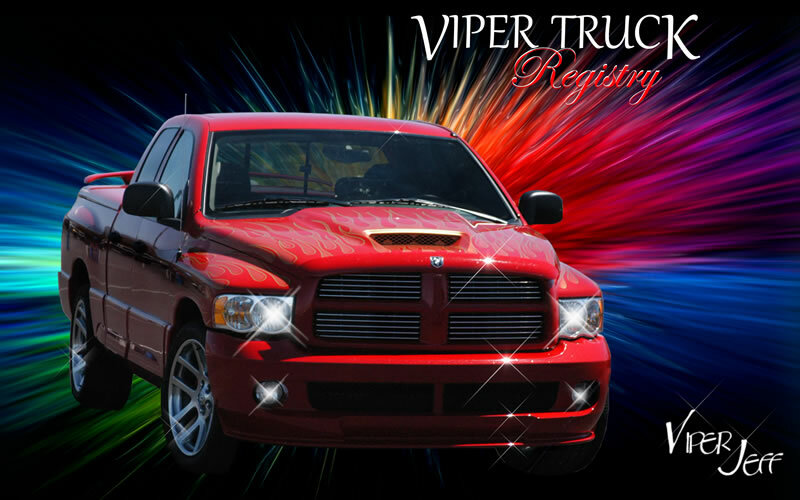 The Viper Registry / Viper Truck Registry is in no way affiliated with Chrysler. Dodge, Viper, Ram SRT-10, the Viper logo and likeness are registered trademarks of Chrysler. The contents of this site are owned by the Viper Registry / Viper Truck Registry and may not be used or reproduced without the express written permission of the Viper Registry / Viper Truck Registry. Copyright © 2008-2011 All rights reserved.